Selenodesy is a natural extension of the Earth geodesy (measurement of the shape, gravity, rotation changes, tides) to the Moon. One of the realisation is Japanese Kaguya (SELENE) mission, which for the first time precisely measured lunar global topography and gravity. 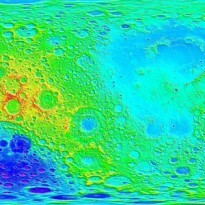 It is now understood that difference between the near side and the far side of the Moon extends down to the upper mantle. Because there is no tectonic activity on the Moon, selenodetic interests lie in the internal structure such as the boundary between the crust and mantle, size of the core and its melt state. Especially, the size and the structure of the core will be the key for understanding the lunar origin, therefore the direct (or indirect) detection of the core is one of the worldwide research themes.